I've been busy for the past two days. During my holiday off from work. I was at the xerox store, i have some important docs for copy. During that day too i was watching Cory's funeral. So it's been so lonely day for filipino's. Specially the crying lady Cris Aquino. I was so touched by her thank you speech to her mom. 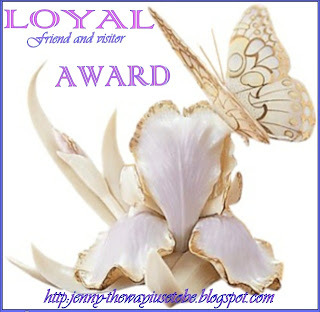 Well, today back to work and glad to have this Loyal friend award from my sister in blogland who is now living in Davao she's sis Katherine. She has two sites, i got this award on her Mom Place. Thanks so much friend. For always visiting my site blogs as well giving comments and hurrays! 2. Pass it to you think who is/are deserving. 4. Pass as many as you want. 5. Message back or leave a comment to the owner. My turn to give this award to my fellow friendships! Double H, Emie, Iriish, Kani, Ovah Coffee , Chit-Chat , Pinoy Heart , Arvin. Enjoy fiends! Hope you can have your time to grab this nice award. This entry was posted on 12:39 AM and is filed under Blogging Awards , Personal . You can follow any responses to this entry through the RSS 2.0 feed. You can leave a response, or trackback from your own site.